Growing up in a generation with more online games than real games could be frustrating for both parents and children. If you’re looking for new ways to spend time with your children and teens without the use of the Internet or tech devices, the following kids games could prove great alternatives for rainy days and long weekends. Each of these games will channel new resources and skills from your toddler, pre-teen or teen child and provides a fun way to spend more time with the little ones, away from addictive screens. Ideal for children ages five and more, this game will require two to four players. The Sum Swamp game is perfect for learning math through fun and attractive methods, specifically designed for children. The game includes a game board, four swamp creature game pieces, two dices, as well as an operation die. It represents the perfect method for your preschool child to learn the basic notions of math, as well as simple math drills. Winner of six awards, the Sum Swamp game is fun and educational at the same time and will certainly represent a great way to bond with your children and spend quality time together. One of the coolest games for 12-year olds, Prime Climb will channel all your math skills and will help you learn divisions and multiplications easily. The game requires 2-4 players and is an award-winning math board game. Children under 12 years of age can still play it with adult guidance. It is easy to learn and addictive as it will challenge your analytical thinking and memory at the same time. It comes with clear and easy-to-follow instructions and represents a great way to practice for school tests and improve your math skills. Suitable for children ages 6 years old and more, this game is perfect for learning easy math drills and stimulating your brain. By using addition or subtraction you’ll have to combine the Scoring Dice in order to reach the target number. The game is suitable for two players or more and includes a 12-sided die, 5 6-sided dices, a scoring track, and useful and easy-to-follow instructions. The product is delivered in a bag suitable for transportation so you can carry the game with you anywhere you go. It is perfect for stimulating your children’s brain activity during the summer vacation and represents an educational way of spending free time when you don’t have Wifi. Looking for a new and fun method to teach your children math? The Tiny Polka Dot consists of 16 easy-to-play games that will help children develop their brains by learning simple arithmetics, counting, and logic. The game features vibrant and colorful designs that will attract your children and help them focus more. In addition, the game will easily adapt to your kids’ own needs so it will provide frustration-free afternoons and weekends. Each of the sixteen games can be played by up to six players at once and contains detailed instructions about what you’ll have to do. If you’re looking for some cool and weird games to replace your children’s addiction to smartphones and tablets, the Clumsy Thief might be a winning choice. 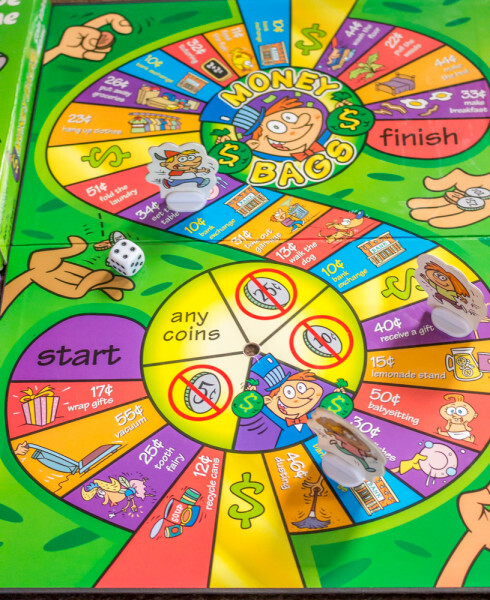 Called the “crazy, fast-paced money game”, it received plenty of awards and is a popular game choice amongst children and parents alike. It features 94 colorful cards with illustrated rules that are easy to understand and follow. The game will teach you how to steal money but, in order to do so, you’ll require strong strategy skills, as well as a good dose of humor and good luck. The average duration of a game is about 15 minutes but you’ll certainly spend hours playing more rounds once you get the hang of it. 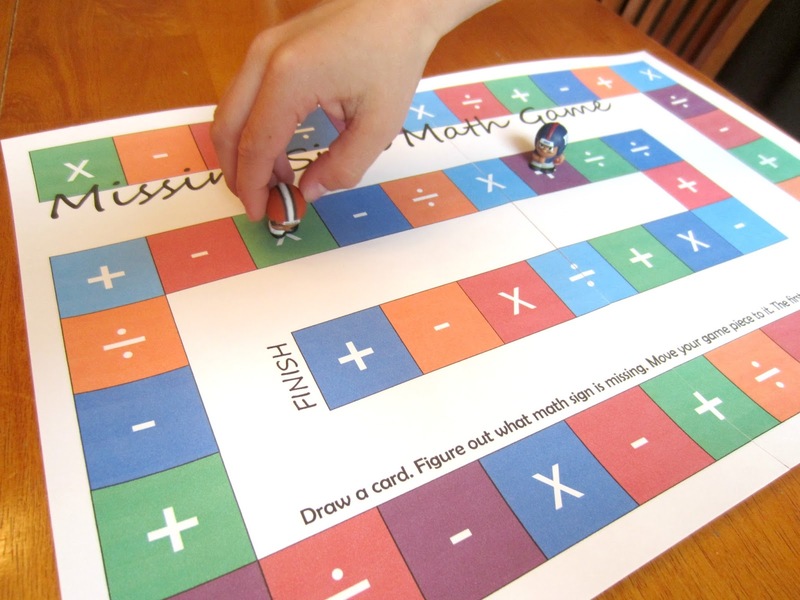 Offering one of the most popular ways of learning math without a hustle, the Race to Infinity contains two different sets of rules designed for two “levels” – easy and hard. By teaching your child how to play this game, you will help him or her become more motivated about math and smarter. The game is specifically designed to stimulate the children’s mind and help them learn various math operations, including additions and subtractions. It is a great way to reduce math anxiety and help your child improve his or her skills without additional tutors. By playing this game, your child will become more confident and will end up doing better at tests. Designed for children ages 6 and up, this simple addition and subtraction game will improve math skills and diminish your child’s anxiety towards math. It is a fun way to learn basic math operations ahead of the school classes and can work wonders during summer vacations. It can be played by more players at the same time and each player will have to give the correct answer to the problem on his or her card. Each player takes turns by choosing one card. Fun and easy, the Math War game represents a great way to spend your spare time with your children in an educational and fun manner. The game contains three different challenge levels and 48 different cards. It is an educational and recreational game at the same time that will help your child develop strong math skills from a young age. It is perfect for children 9 years old and up. The game features 48 double-sided cards with colored dots on each card indicating various degrees of difficulty. One-dot cards are the easiest while the three-dot cards are the hardest to solve. This product is perfect while traveling and can become a fun way to help your children improve their thinking without tutors or boring math classes. Ideal for children ages 6 and more, this fun math game comes with 90 different number cards and 10 shark cards. It will help build social skills and it represents a fun way to combine playing and learning at the same time. Designed for 1-4 players, all the cards are colorful and attractive so your children will easily pay attention to the rules and focus on the game for a longer period of time. The idea of the game is to make combinations of number cards to reach 10. The player with the most tens wins the game. Specifically developed for children 6 years old and above, this game requires 2 to 4 players. It is fun and educational at the same time and will help develop basic math skills without a hustle. In order to win the game, you’ll have to make use of all your math skills to turn your roll into a number 1-10. Keep in mind that this game will also challenge your luck, brains, and capacity of developing winning strategies. The set includes a beautiful wooden game board, easy-to-read instructions, 40 attached flip keys (each player receives 10), and a dice popper. If you’re one of the people that have limited time for things they’d like to do or need urgent attention, you’ll soon notice how difficult it can be to find some good math games. There are several impediments in your way besides having a busy schedule. When you have to pick a math game, you need to know how it works and what are the features that set it apart from similar products. Buying a math game for your first grader is evidently different from choosing a game for the whole family. A small kid will only have a limited capacity of understanding mathematical operations, and they would need a type of game that can improve their skills. You’ll also find out how important the rules of the game are. Like in most games, math games could seem exciting for some and be boring for others, depending on personal preferences. If you’ve decided to buy a game which you can play with your family and friends, then you must look for something that involves mathematical reasoning but is worth playing just for fun. Teens and adults don’t really care for educational games. They need something fun and relaxed. There are a lot of games available for sale, so you could have a hard time trying to pick the best math games. We’ve used math games reviews and customer feedback to find the top math games that are now available. If you want your search to be more efficient, the following lines will help you out. When you pick a math game, make sure it is suitable for the age of the players. There are several stages in the development of math skills, and once you understand them, it will be much easier to make your pick. Preschoolers understand numerals, but it’s a bit too early to introduce math games to them unless they use simple sequences and spatial awareness. It’s better to buy products that require basic counting, subtraction, and addition for children that have reached first or second grade. If you want to purchase games that use multiplication and division, then it’s a nice choice for children in the third and fourth grade. They can also use estimation, which is useful when they need to work out the numbers as fast as possible. Middle-schoolers should be able to understand basic algebra and use formulas, so you can buy almost any math game. Most of the products for sale don’t require more than the basic skills. No matter what sort of game you are thinking of, the number of players is an important aspect. If you want to offer your kid a one-on-one playing experience with a friend or sibling, or plan on having fun with them yourself, you can choose 2-player math games. Some of them can be fairly simple, while others imply the ability to anticipate a sequence of events and develop strategic thinking. Some of the most popular games of this sort are checkers and chess, but you can have a duel with other games as well. Plenty of math games are made so that a number of 4 to 6 players can join in. Since the competition is more intense, people have lots of fun. Playing math games with money, like Monopoly and similar game varieties, is always a good choice when you gather for an entertaining evening. One thing that could make things easier for you when you want to choose a math game is to find out what type of game it is. The large array of games can be easily classified into types so that you can pick the one that seems suitable. The simplest ones only imply addition or subtraction, and you can easily play them with kids. They are usually race games, where you have to have to be the first across the board if you want to win. The interaction is limited, but the focus on basic skills is pretty solid, so they’re just right for younger players. Board games are quite interesting as you can build and move across the board according to particular goals. Some of these games can be adapted for the use of larger numbers of players and puzzles or problem-solving can be introduced to raise the competition. That can make them a valuable resource to be used in class. Strategy games, whether they use spatial or numerical strategy, should always be on your list. Games like chess, tangrams, and checkers have an underlying mathematical process that is great for learning math skills. Using patterns and grids and a definite number of pieces, they matter a lot for the overall development of a young kid. You can even use card games or darts as a way to improve one’s ability to add or subtract, so you don’t have to look for products with the word math in their title as long as they’re useful and amusing. The design is always important when it comes to games. Even products that have become classical have a varied range of designs for their pieces or boards. The color, shape, and material used matter a lot when you want to spend your money on them. If you want to enjoy the game for a long time, you have to buy a product that looks attractive and doesn’t fall apart after just a few uses. As you’ve probably noticed, some games are easier to carry or set up, others have a lot of pieces and bigger boxes. These things also matter when you want to narrow down the selection. Some persons don’t have a lot of patience, especially if they have to take turns and wait for other players. Most games have an estimation of how long it takes to finish a round or the whole play. You must take that into account when you search for information about the product.